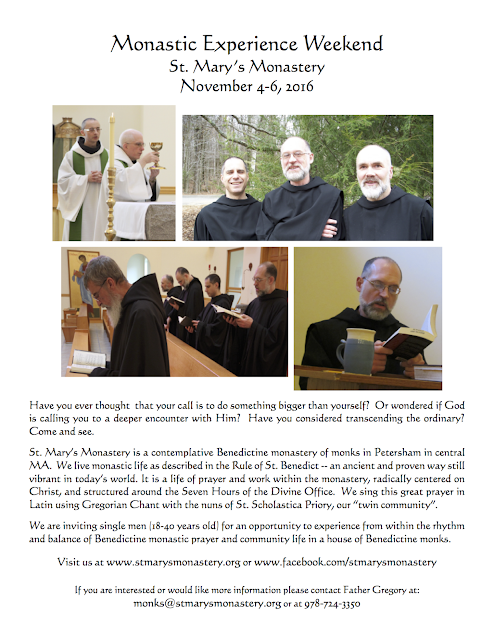 I have just been sent information about this 'vocations weekend' for men. The monastery chants the liturgy in Latin - seven Offices a day and daily Mass. It is a daughter house of a wonderful monastery in northern Scotland, Pluscarden, where I have stayed many times.